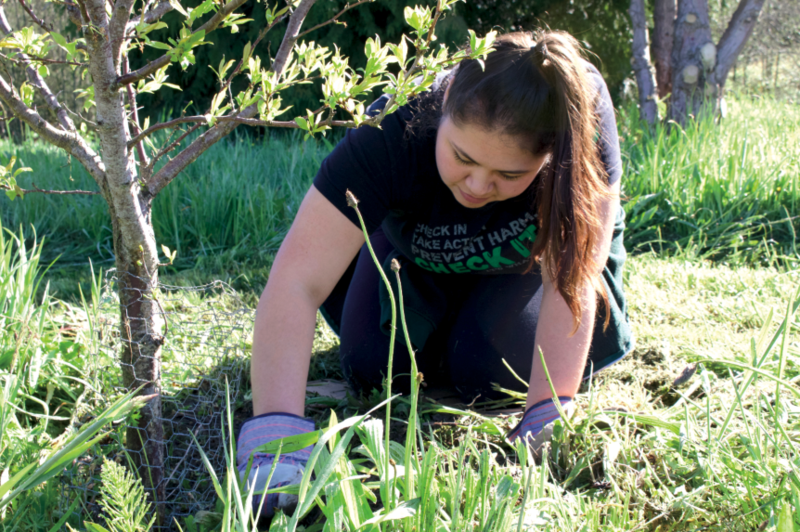 Over the past 40 years, four Humboldt State University (HSU) students have been victims of homicide locally. In a span of 16 years, the last two have been African American men, both cases remain unsolved. Beginning in the 1980’s, the first victim was killed in the community forest. The second, working toward a teaching credential was killed by high school students. 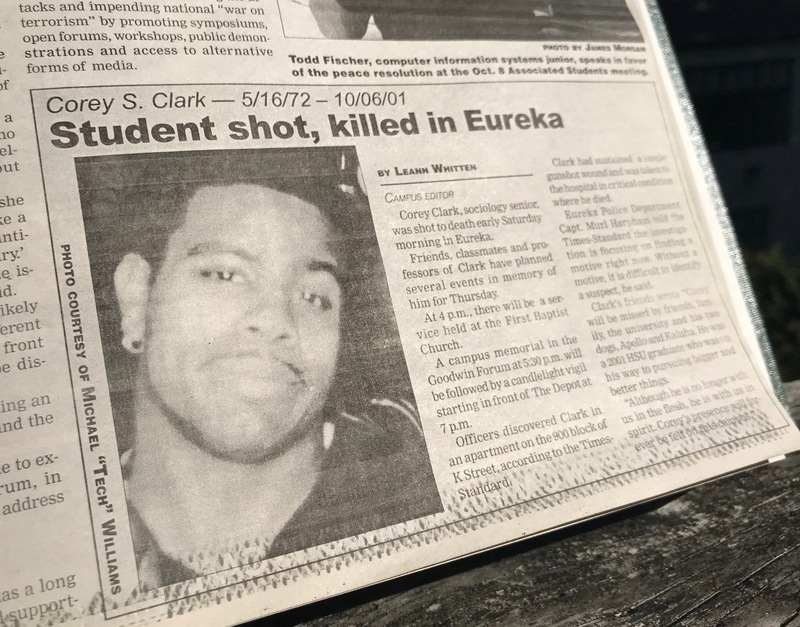 The third was Corey Clark, murdered in Eureka in 2001. These deaths are largely untracked by university officials, including the University Police Department. As far as the Dean of Students, Randi Darnell Burke, can remember, nobody aside from her has kept track of student homicides. 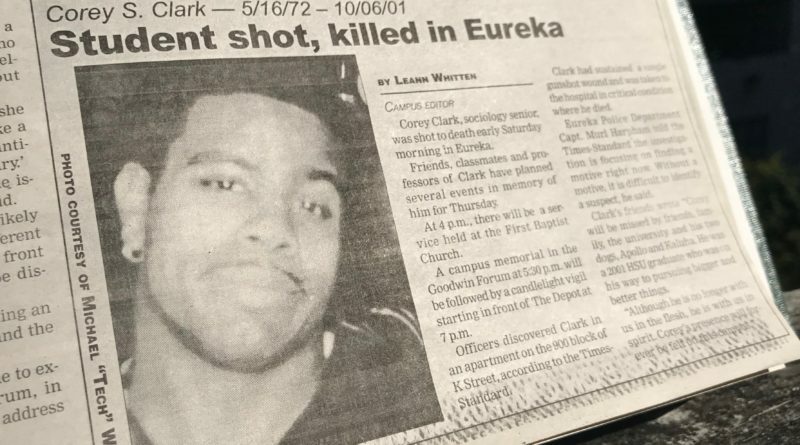 On an October night in 2001, Corey S. Clark went out to Eureka. A regular one-man show, he would have been dressed to the nines in his brown leather jacket with a cranberry vodka in hand. He expected to have a good time at Club West after Saturday’s homecoming football game. 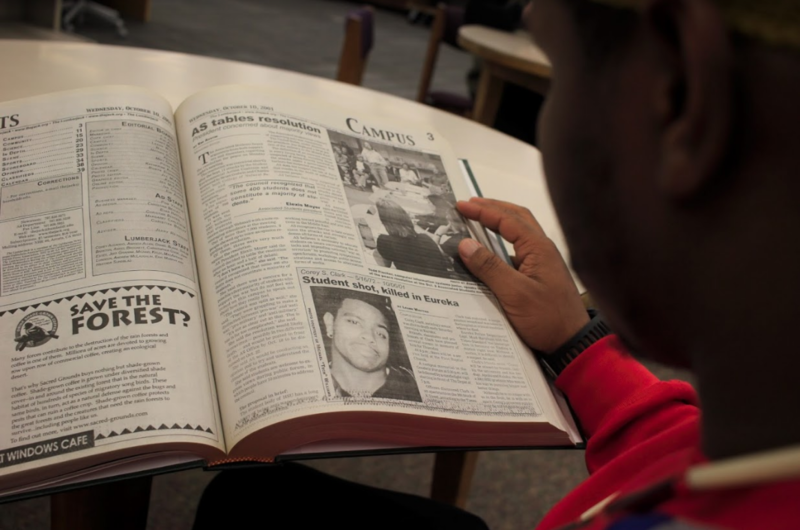 Keion Morgan, Humboldt State University (HSU) alumnus and close friend of Clark, remembers the conviviality that Clark brought to the community and fellow African American students with his presence. On Oct. 6, 2001, Clark was found in an apartment on the 900 block of K Street in Eureka, shot in the head at point-blank range. In critical condition, he was taken to a nearby hospital where he was later pronounced dead, according to archived articles by both the Times-Standard and The Lumberjack. Morgan remembers the state of confusion that came with the early morning phone call from another friend and his rush to get down to the hospital to see Clark. 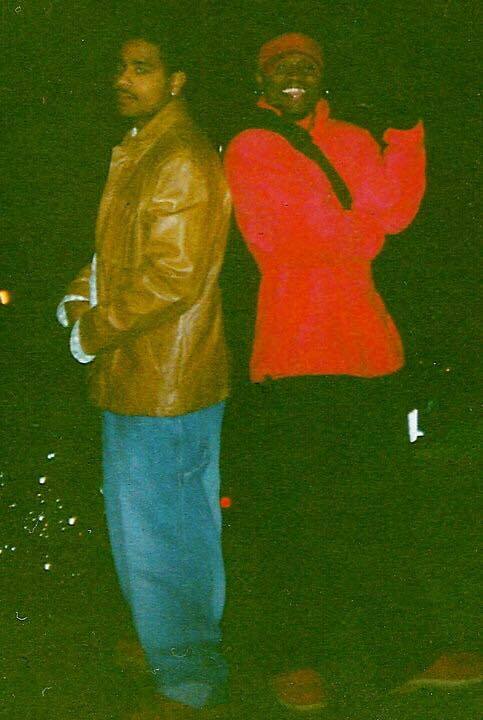 Clark was a 29-year-old senior sociology student in the fall of 2001. Unsure of what career path to take, he spent the previous decade between school or working. Despite this, however, he was certain that he wanted to make a positive mark and even graduated from the police academy at the College of the Redwoods in those years. Determined to succeed, Clark returned to HSU on his last semester to complete and receive his bachelor’s degree in December. But Clark never walked across the commencement stage or even held his diploma. He was awarded posthumously. Celeste Winders, HSU alumna and another close friend, recalls Clark’s motivation to do public service and good for the world. After the loss of Clark, many in the university mourned his life, including students who weren’t familiar with him. Vigils were held in honor of his life with a large attendance from students and faculty. Jennifer Eichstedt, professor of sociology, remembers coming into class the following Monday. Clark was a student in her popular culture course. Meanwhile, some of Clark’s best friends, including Morgan, wanted to create a support system for other men of color in his name. In the months that followed, nobody was ever arrested and tried for the murder of Clark. And, despite student pleas to investigate, Eureka Police Department never made an arrest. 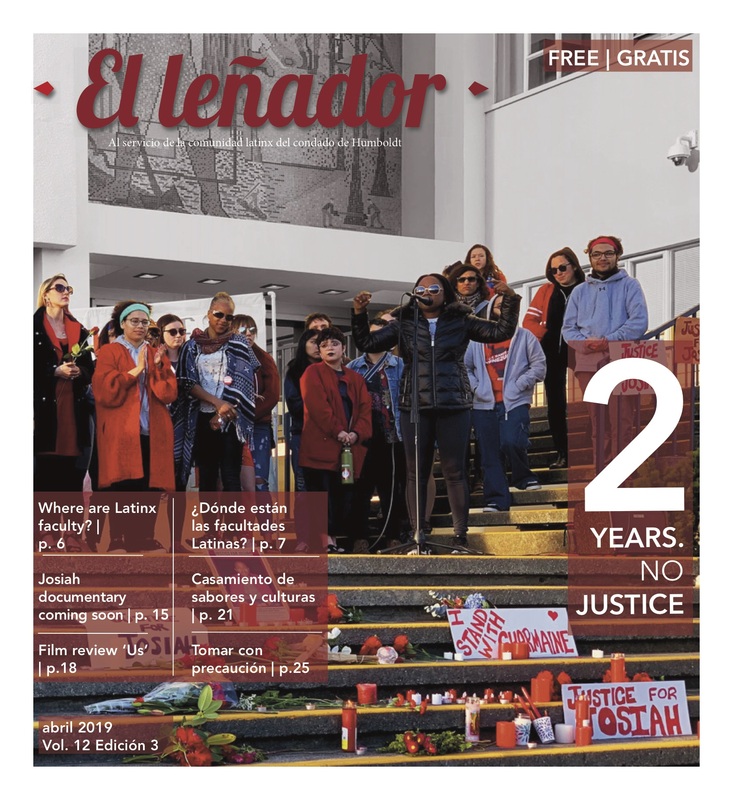 Even today, many feel the local police department failed Clark. Knowing his support for law enforcement, Winders feels they should have done more. Nearly 16 years later to the day, the case remains unsolved with both lead detectives Dave Parris and Jeff Daniels no longer on the force. When questioned if the 2001 homicide case was still open, neither the Criminal Investigations Unit nor Public Information Officer Brittany Powell could be reached for a comment. 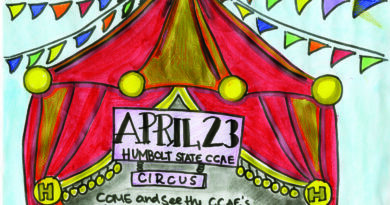 According to a representative at the District Attorney’s Office of Humboldt County, no defendant was ever named or charged. On April 15, 2017, David Josiah Lawson was murdered at an off-campus party. Despite Kyle Zoellner’s arrest the night of, charges were dropped and he was released albeit remaining the prime suspect. Charmaine Lawson, Josiah’s mother, feels that the Arcata Police Department needs to work harder to ensure student safety. Immediately after hearing about the murder of Lawson, those who knew Clark began drawing parallels between the two. Morgan, who knew Lawson since he was a child and helped motivate him to attend HSU, described an episode that seemed to mirror Clark’s death when Lawson’s mother called. The parallel of the two is undeniable, not only because both Clark and Lawson’s cases have not been solved but their family and friends still remain hopeful that justice will be served. 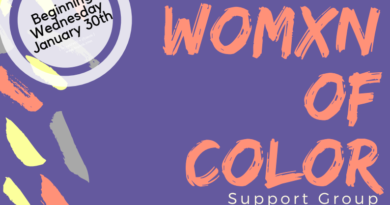 No Money, No Coordinator, No MCC?